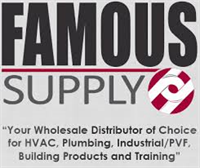 Since 1933 Famous Supply has developed a reputation for distributing high quality products, having professional and knowledgeable Associates, providing exceptional customer service and offering competitive pricing. Famous Supply has also developed a strong reputation within the industry for its breadth of depth of inventory and broad product lines. We’re a family-owned business, and since family is so important to us, we feel a special commitment to the communities where we work. Our commitment and sense of family extends to every one of our Famous Associates whose expertise includes HVAC, Plumbing, Industrial and Building Products for the residential, commercial and institutional markets. 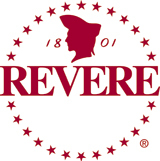 Our mission is to provide to our loyal customers the best service and support in the industry. Our size and our buying power allow us to distribute the highest quality products at the lowest overall cost. Famous is the extremely competitive in each market we serve. Since 1933, we have been committed to a Wholesale Only policy and have been working diligently to help improve the sales and profits of our customers. Our business relationships with our valued customers are built on the firm foundation of mutual trust and loyalty. Famous has always worked with its customers, not against or around them. You have our promise that we will serve only industry professionals.